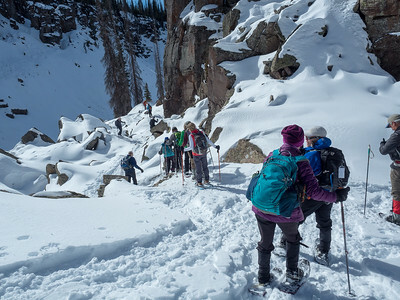 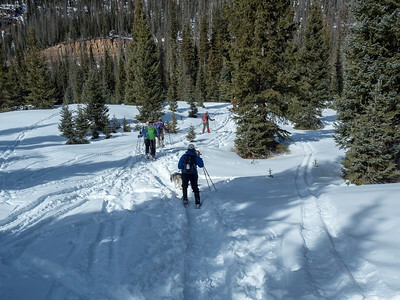 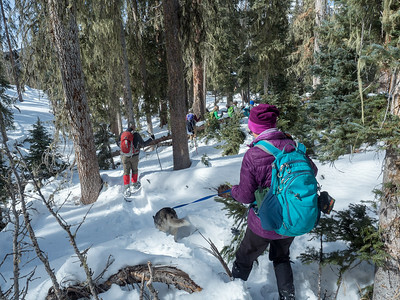 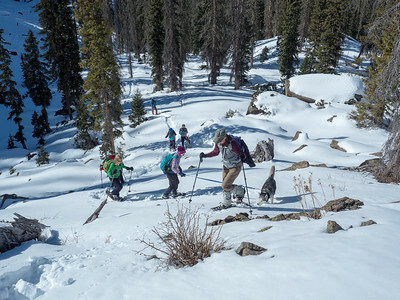 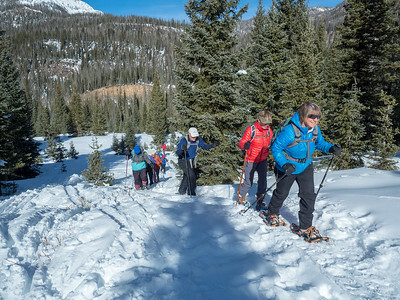 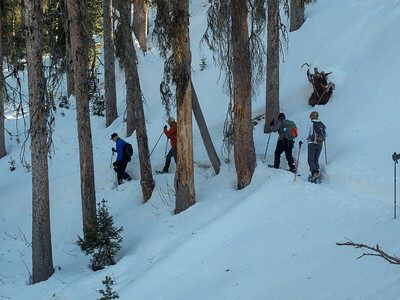 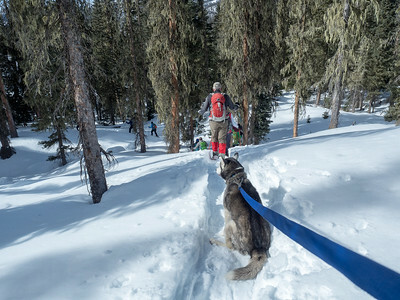 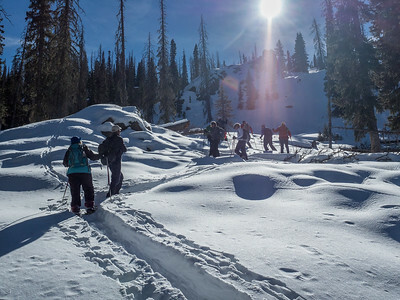 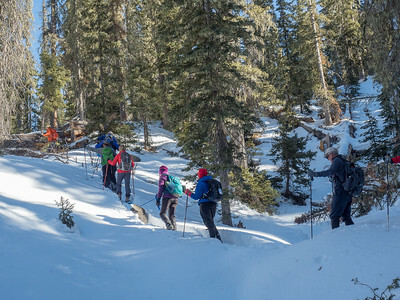 With minimal snow this year, options for backcountry snow shoe hikes are limited. 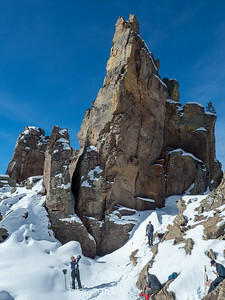 But we gave the Hoodoos a try. 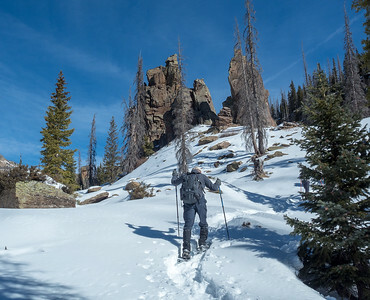 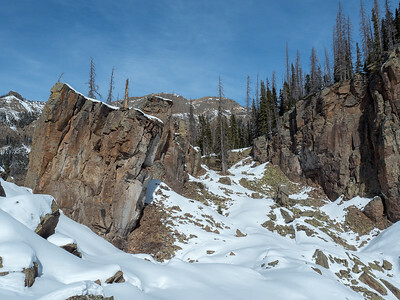 There was quite a bit of blow down to cross (normally covered with snow) and many of the rocks were bare, but who can complain with beautiful weather and a good group of friends from our Outdoor Club. 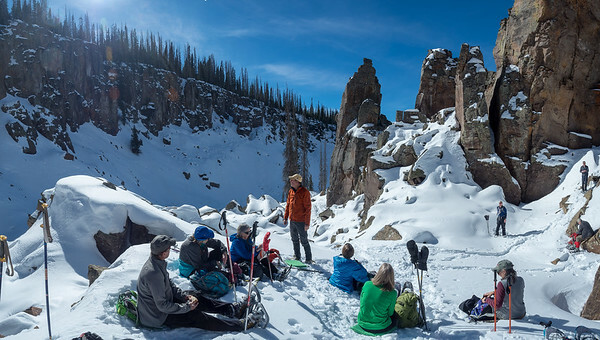 In a normal year, the entire bowl would be covered with snow. 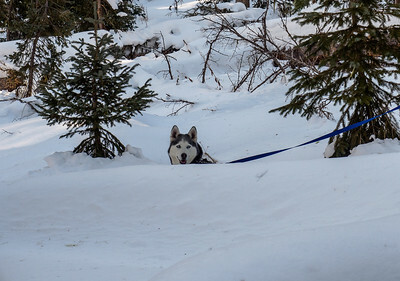 Sue and Keetna, heading down through the trees. 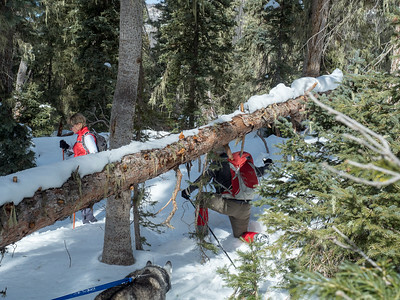 With a normal snow fall, the tree would be covered, and we wouldn't have to go under! 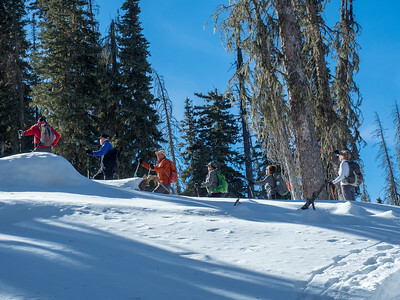 One of the final descents back to the trail head.